On 21 January, the moon will move closer to Earth and look around seven percent larger in the sky. The total lunar eclipse will last for more than five hours, in which the moon will go red; such a lunar eclipse occurs when the Sun, Earth and Moon are in alignment. Residents of different countries are looking forward to seeing the "super wolf blood moon". The eclipse will be visible from the whole of North and South America, parts of France, Spain, Portugal, and Russia's north-eastern tip, in addition other parts of the world. 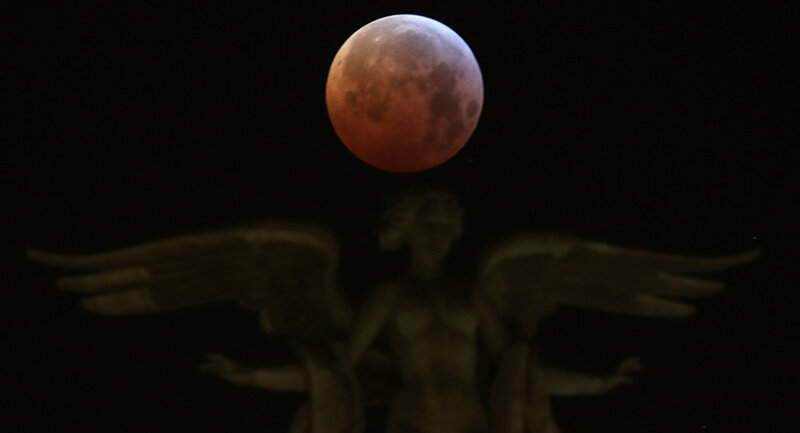 Will 'Super Wolf Blood Moon' Prove to Be Horrendous Armageddon Sign?